Table 1-3-3-1 shows the trends of cleared cases for offenses involving computers or electromagnetic records (unauthorized creation or damaging of electromagnetic records, obstruction of business by damaging a computer, computer fraud, and illegal creation of unauthorized commands for electromagnetic records, etc. ), offenses related to the electromagnetic records of payment cards, and violations of the Act on Prohibition of Unauthorized Computer Access (hereinafter “Unauthorized Computer Access Act”, Act No. 128 of 1999). See Appendix 1-6 for the dispositions by public prosecutors for the offense in this Section. 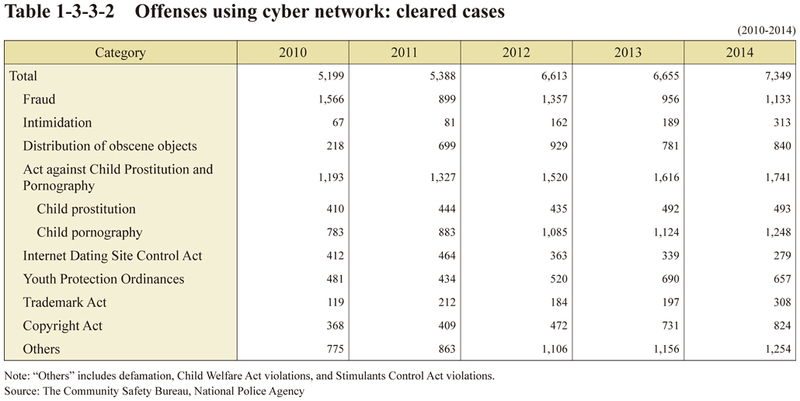 Table 1-3-3-2 shows the trends of cleared cases for fraud, child prostitution and other offenses over the internet.